Many of us enjoy the presence of dogs, from those that we see frequently to random dogs we encounter in our everyday lives. Unfortunately, dogs don’t always enjoy the presence of unfamiliar faces, especially dogs with aggression or dogs that are naturally more vicious than others. 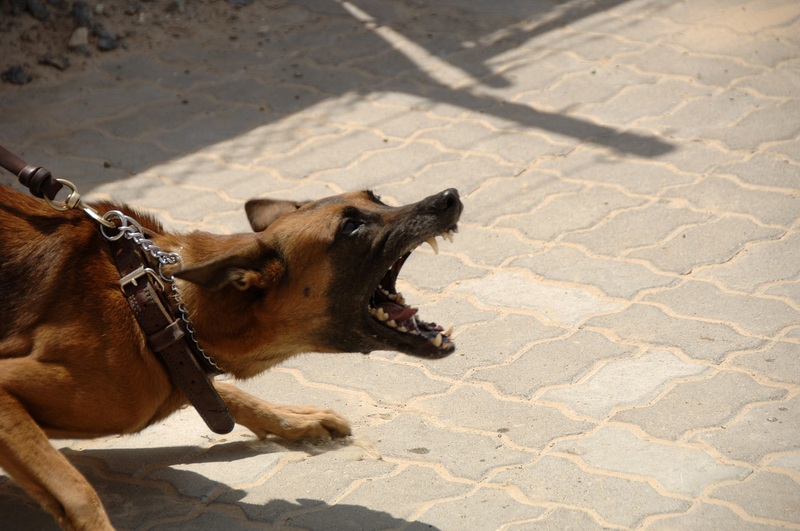 Even if unprovoked, when feeling threatened or in a state of high alert, most dogs will often lash out by barking. Dogs that are considered dangerous, however, may chase after and even attempt to attack the person or animal that is causing them to feel threatened. When a dog maliciously attacks another animal or person, it can result in a minor dog bite injury, severe bodily harm, or worse, death. According to the Virginia Department of Health, in 2007, an estimated 4,346 people were treated for dog bite injuries. 31% of those injured were children 14 and under, with the highest injury rates among children between the ages of 5-9. 78% of children 4 years old and younger and 55% of children between the ages of 5-9 faced injuries to the neck and face region. For children 10 and over, 60% faced injuries to the extremities (fingers, hands, arms, and legs). Code of Virginia section 3.2-6540 states that after determining a dog to be dangerous, the owner is required to obtain a dangerous dog registration certificate within 30 days by paying a fee of $150 along with the possibility of additional fees. The owner will then be provided with a tag to attach to the dog’s collar, which identifies the dog as dangerous. The registration must also be renewed annually by January 31st. After being injured by a dog it is important to seek medical attention immediately after the injury. Doing so will prevent any infections, especially if the dog is not up to date with its vaccinations. Seeking medical attention will also serve as evidence since medical records will document the details of the incident and the necessary treatment(s) thereafter. In order to determine liability, it is extremely important that you obtain the name and contact information of the dog owner before leaving the scene of the incident. If there are any witnesses, obtaining their contact information will also help with your claim. In addition to seeking medical attention, you should also contact a personal injury lawyer with experience in dog bite injuries who can determine if a claim can be made against the dog owner or handler. Dogs are not aware of the repercussions of their actions; however, a dog owner should know the capabilities of their dog and take the necessary precautions to prevent harm to others. They fail to properly restrain the dog. If you or a loved one suffered a dog bite injury, or if a dog attack resulted in the tragic death of a loved one, it is important for the owner to be held liable for their dog’s malicious actions. A dog bite injury lawyer will assess the details of your incident to determine if a claim can be made against the owner. They will also determine rightful compensation for damages, such as medical costs, lost wages, and property damage. In the event of a death, a dog bite injury lawyer will pursue a wrongful death case against the negligent owner. We know that no amount will alleviate the pain of losing a loved one to such an unfortunate incident. Nevertheless, compensation can help with the stress brought on by medical costs, funeral costs, lost wages, and the planning of your family’s financial future. Contact a dog bite injury lawyer to help you collect the damages that you deserve.